Back in the day I was somewhat of a Sarsaparilla and Root Beer junkie. I wasn’t grabbing a Mug or A&W root beer. No, no. I was going super gourmet and finding small batch brews with unique flavors. I used to have access to fresh brewed Sarsparilla and it sort of spoiled me. Seriously. Nothing like it. Aside from my love of root beer and the like, I was not a big soda drinker. So it wasn’t *that* hard to give it up once I made the switch to a real food/unprocessed lifestyle. But every so often, I would get a deep yearning for some old fashioned Sarsaparilla or Root Beer. I have been making fermented beverages for a few years now but had not mastered the art of making probiotic rich root beer. I tried again recently but wasn’t very impressed with the results. But then, a little light bulb came on. Why not make Root Beer Kombucha or Sarsaparilla Kombucha? And the sun shown down so brightly that day because the universe knew that I had just created a life changing kombucha. I suppose I could have looked up some recipe ideas online but being impatient for the glorious taste of Sarsaparilla, I tried the path of least resistance and came up with a winner! Ok – back to the Sarsaparilla Kombucha. You ready for the simplest recipe on earth? Here you go! Looking for a fun and deliciously unique spin on kombucha? Love the flavors of root beer and sarsaparilla? Then you simply must try your hand at making my game-changing root beer kombucha and sarsaparilla kombucha. So that's the easy recipe! Ready for the more complicated one? The root beer kombucha? Add up to 16 ounces of Kombucha. Put the sarsaparilla root and wintergreen leaf in a medium pot. Add the filtered water and turn on high heat. Strain through a fine mesh strainer to remove herbs. While warm, add the sugar and molasses and stir until dissolved. Add in the vanilla and lime juice and stir. This will create enough root beer infusion to use in a LOT of second ferments. Store the leftovers in the fridge for up to 2 weeks. Add ½ cup of the root beer infusion to every 12-16 ounces of kombucha. You can leave the second ferment out for a few days until it gets the carbonation you like. Alternatively, you can put it in the fridge and drink it after a few days. I like to add a few raisins and a wee slice of ginger to the bottle I am putting the Root Beer Kombucha in. It seems to add something to it. But it tastes great without it as well! You can adapt this recipe to fit whatever size bottles you do your second ferments in. The end product will be light in color. It won’t look like Sarsaparilla but it will sure have a wonderful taste! 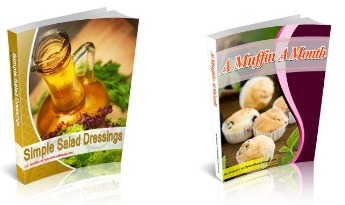 Give one or both of these recipes a try and let me know what you think! Perfect! My hubby recently got addicted to the root beer kombucha at the store, so it would be great to surprise him with this! Why is there lime juice and vanilla extract in the recipe list, but instructions say nothing about when to add them or use them? Hi Charlene! Well that’s embarrassing! Thanks for telling me. I am fixing it now! Hi Nicole! The wintergreen is CRITICAL. It is literally the most important ingredient to get it to taste like root beer. Odd huh? Regular mint won’t work. It has to be wintergreen. Can’t wait to try this! Once I’ve done the second ferment how long does it keep in the fridge? Thanks! Hi Candace! Honestly, I forget about my booch sometimes and a rogue bottle will be back there for a month or more. I always drink it. 😉 Worst case scenario with certain second ferments (like apple) is that they get a little boozy. You will tell after the first sip. Most Kombucha at the store has a one month + fridge life so that’s a pretty safe timeframe. Enjoy! Does the sarsaparilla root have to be Indian? I am finding some cheaper options that are a Mexican variety. Thanks! Can’t wait to try this! I have never used the Mexican variety but I understand it does impart a slightly different flavor. From my research, you may need to use a tad bit more to get the same flavor. You may just need to experiment a wee bit and see what happens. Jennifer, what do you think of using Wintergreen essential oil instead of the whole leaf? Hi Jill! Well….hmmm…I think it would be VERY strong. The dried leaf really does not impart a mint flavor and of course you don’t really want minty sarsaparilla. I suppose you could dip a toothpick into the EO and literally just use that small amount and see what happens. If you try it, please let me know how it turned out! I’m curious. Is it easy to find wintergreen leaf easy to find? What kind of grocery stores would I be able to find that in? I’m in love with root beer! I have to order it online through Amazon. I have not found it locally although some health food stores may have it. I would call around to local stores and see if anyone carries it. Big name and chain grocery stores will not have it. I’m keen to try this. But would like to avoid the added sugar in the second brew. Could stevia be substituted rather than sugar in the root beer second brew? While you need the sugar in the initial brew, you can sweeten the second brew however you would like. I have not tried Stevia because I personally am not a fan of the taste but it wouldn’t hurt to try. I just am not sure how much you would want to use. Mine had a funny smell, almost sulphur like but I used in-sulphured molasses and filtered water so I’m not sure why. Any advice? That is the first I have heard of this sort of smell. What was the temperature of your home when you were doing the second ferment? You mean fresh wintergreen, correct? Or dried? Thanks! I prefer to use dried. I think the flavor is better. Have you tried making the base of your kombucha with the roots and leafs, they do have tannins for the scoby to thrive on. Than you for the recipe! I steeped my sarsaparilla, and noted the flavor was kinda weak and astringent. I found this website after dumping 1/4 cup of sugar in the mix didn’t help. I only had mint growing in the yard so I used two sprigs mashed up, a 1/2 teaspoon of grandma’s molasses, a licorice teabag and two slivers of dried galangal (it’s an asian version of ginger) And it tastes just like Mug rootbeer! Thank you very much! Although it is a departure from your recipe my rootbeer kombucha would have been a failure if I hadn’t found your site. Can’t wait till it cools and I can second ferment. I am totally going to try that! Thank you! I am so obsessed with the flavor of root beer! I’ve been trying to home make and recreate my nostalgic tastebud memory of the root beer I used to have when I was a kid. Now, with the newfound health kick I’ve been on – I think it is only natural to make root beer kombucha! Thank you so much for sharing this recipe, I can’t wait to try it. You are most welcome! Love your pickles and kraut by the way! Do you have the calorie count? Also do you know how to make this with very few calories? Hi Tina! I am so sorry but I do not have a calorie count. 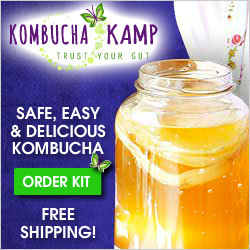 Since the sugar is eaten up during the fermentation process, kombucha is pretty low sugar and therefore low calorie. On average, kombucha runs about 30 calories per cup. Hope this helps! Brewing your sasparilla recipe now…you really don’t need to add a sugar of any kind? Just Kombucha and brewed sasparilla root in water? Correct! Unless you like it REALLY sweet…then add sugar to taste. How long is your first ferment w/ the scoby? Also, I use honey because I’m allergic to cane sugar. Will the honey do as well for flavor? Thanks!! Can’t wait to make this. Hi Mary! Honey is totally fine. I love it in ferments. I live in HOT Arizona so it doens’t take long at all for my kombucha to brew. Basically, taste a little every day until it is to your liking. It warm weather, it can be ready in just a few days. In cooler weather it can take a week. Hi! I really want to make Root Beer Kombucha. What tea gives the best ferment for F1? Can I use honey; I’m allergic to cane sugar. How long do you let F1 ferment for? I’ll be using the scoby from my usual batch: 4 bags black, 2 green & 2 oolong teas. Thank You so very much! I responded to your questions below but wanted to answer your tea question. Black tea works best but the mixture you mentioned would likely work. I find that the flavors work best when it is a black tea base. Hi again. Seems my comments are not going thru. What tea do you recommend for F1 & how long to ferment it? Will honey work as I’m allergic to cane sugar. thanks for all your help. I really want to make Root Beer Kombucha. Do you use plain black kombucha tea for the base or a mix of green tea & black? This is my 4th attempt to ask a question. I REALLY want to make the root beer kombucha and want to make sure I get everything perfect. Thanks for your help. I’ve been wondering: do you think that Root Beer infusion would work for the second ferment of some water kefir? I’ve been making quite a bit of sparkling limeade and sparkling apple juice, and it’s always a hit for the kiddos. I freaking LOVE kombucha, but it’s not such a thing for the kiddos. Hmmmm… I don’t see why it wouldn’t work! It is too hot in AZ to keep water kefir alive so I personally haven’t tried it but ingredient wise it should work fine. That actually sounds delicious! I am wondering if you use sarsaparilla powered root or root pieces. Thanks for your help. We’re so excited to have found this easy recipe! I’ve been making kombucha for two years and love it! I just opened my first bottle of Sarsaprilla Kombucha after finding your recipe on this website. I followed the recipe to a tee and always use Hannah’s tea blend, as you recommend. In all honesty, this kombucha tastes terrible and I’m going to throw it all out! It’s seriously that bad! I ordered all the ingredients to make your Root Beer Kombucha. I hope it tastes better than the Sarsaprilla recipe. Just thought you should know. Really? Wow. Thank you for letting me know! I personally like the Root Beer Kombucha better but I have never had the Sarsaprilla one turn out that horrible. When did you last purchase the tea blend? If the root beer kombucha does not turn out, my guess is that it is a bad batch of tea. This happens at times. Not common but not impossible. Please let me know how the root beer kombucha works for you! I wanted to let you know that I tried letting one bottle of Sarsaprilla kombucha age a week longer and the terrible sarsaparilla bark taste went away. It tastes ok, but is’s flat and not something that I’ll make again. I also just opened the Root Beer kombucha, that I made, following your recipe to a tee. It’s not bad, and it is carbonated, but it definitely doesn’t taste like root beer. I think I’ll keep looking! Thanks for your time! Hi Jennifer, I just found your root beer kombucha recipe and am looking forward to trying it once I get the ingredients. However, I don’t understand the recipe. It lists the ingredients, then in the instructions it says to add the root beer infusion to the bottle. I do not see the recipe for making the root beer infusion. Please tell me what I’m missing. How do I combine the ingredients? Eeeeek! My recipe is missing some parts! Thank you for letting me know. I have fixed it so you should be good to go now! Thank you! I see it now. I look forward to trying it! I just made the root beer kombucha, but noticed the recipe didn’t say when to add the vanilla and lime juice. I added it at the beginning and simmered it with the sarsaparilla root and wintergreen. Was that what I was supposed to do? Later, i thought it might have been better to add it after it was done simmering. Haven’t tasted it yet, it is 2nd fermenting now. When was I supposed to add the vanilla and lime juice? I am so sorry about that! This recipe seems to have a mind of its own. Sometimes it disappears completely. Only one that does that. Anyway, typically you add it at the end with the sugar and molasses but it should not hurt anything to add it with the sarsaparilla root and wintergreen. If it doesn’t quite taste “root beery” enough then this might have been the reason. I will be curious to see what happens. I made this without the Wintergreen (for lack of finding any! ), and with lemon juice instead of lime juice (again, it’s what I had access to), and it doesn’t taste like rootbeer at all. Would the wintergreen leaves and lime vs. lemon make that much difference? Or? Thanks for your thoughts! Hi Kelli! The wintergreen is CRITICAL. It is literally the most important ingredient to get it to taste like root beer. Odd huh? I have never tried lemon juice but I do know “cola” based flavors are made with lemon and root beer based flavors are made with lime so there must be something to that. How would I achieve a “diet dr pepper” flavor? Hi Susan! Good question. Dr. Pepper is flavored with a prune extract along with other junk to make it taste great. 😉 I’m not sure how to replicate the other junk and make it still taste the same. However, I might give this a test run and see what happens.